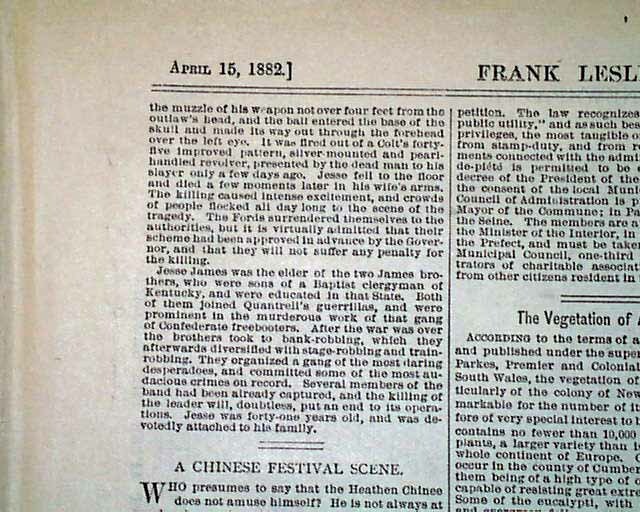 FRANK LESLIE'S ILLUSTRATED NEWSPAPER, New York, April 15, 1882 Page 6 contains a significant article headed: "The Death of A Notorious Desperado" and which begins: "The most notorious outlaw in the country met his death at St. Joseph, Mo., last week, when Jesse James, leader of the gang of train robbers who had become a terror to travelers in the far West, was shot by Robert Ford..." with other detailed particulars (see for full text). 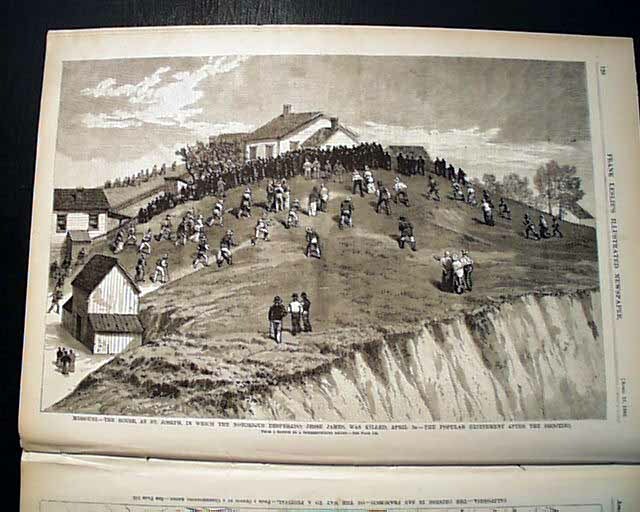 Plus, this issue features a great full page illustration captioned: "The House, at St. Joseph, in Which the Notorious Desperado, Jesse James, Was Killed, April 3rd--The Popular Excitement After the Shooting" which shows a huge crowd gathering at the house. 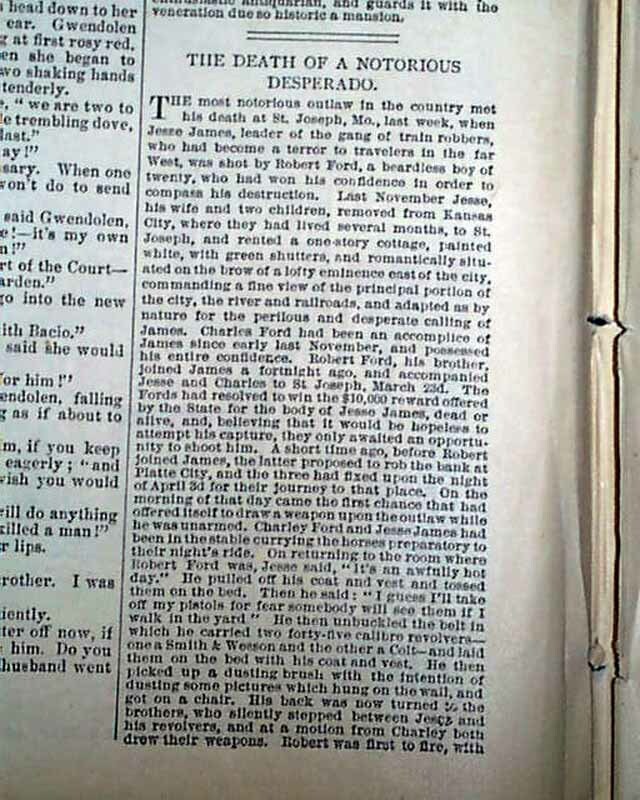 It is very rare to find any sort of graphic concerning the death of Jesse James. Harper's Weekly had no report on the event. 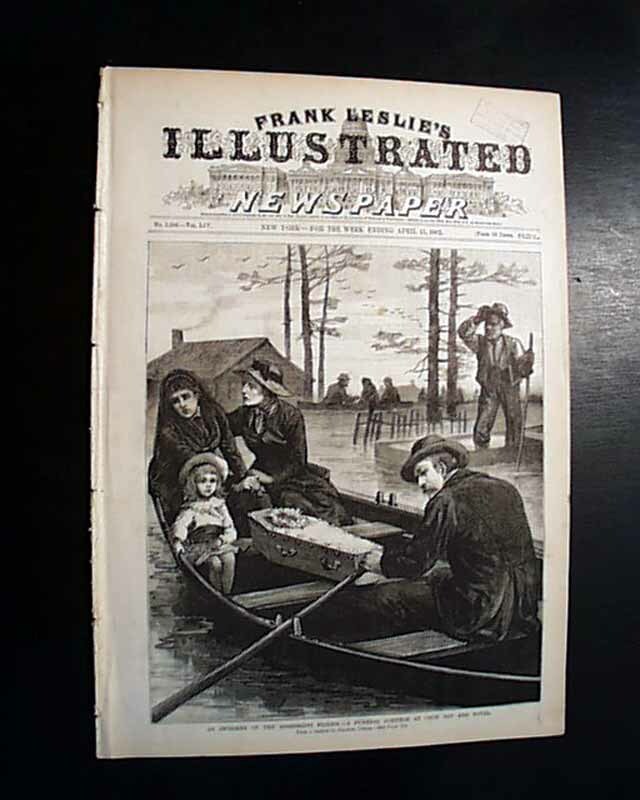 Sixteen pages, a small news agent's stamp at the top of the front page, nice condition.